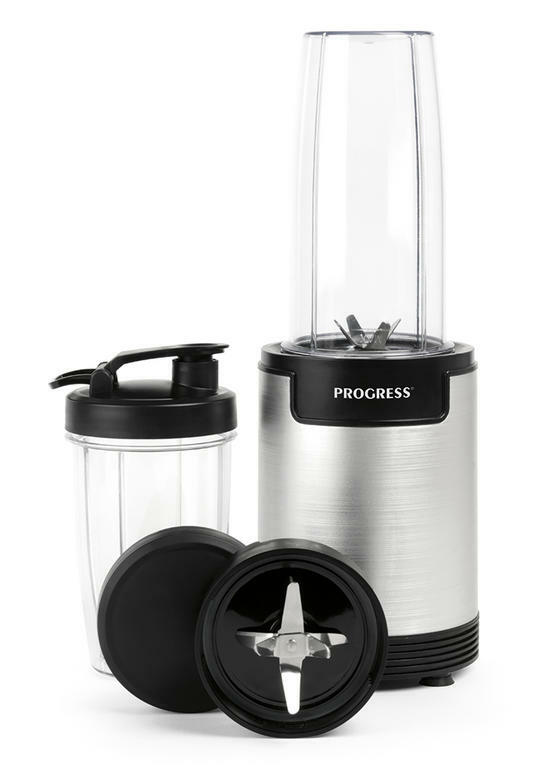 Using 900W power and unique extraction blades, this fabulous Progress NutriPro blender locks in the best vitamins and minerals so you and your family can enjoy flavour packed drinks with all the nutrients you need. 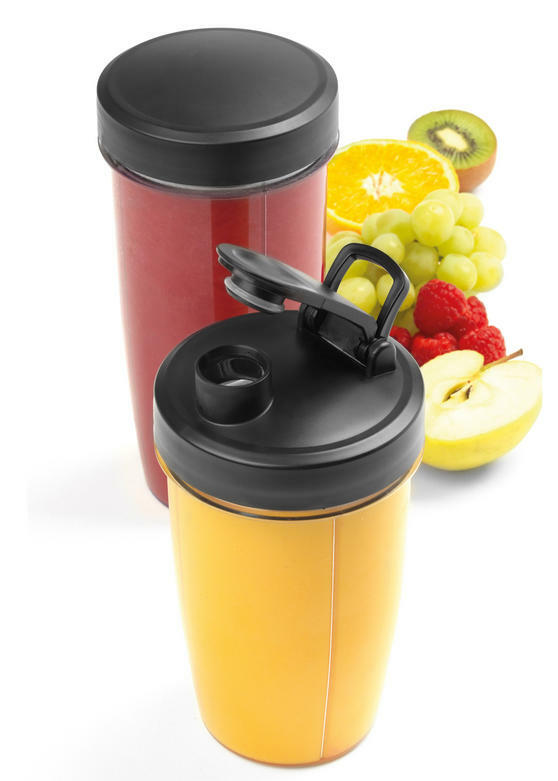 It comes with a large 975 ml cup and a 740 ml cup, with an easy-drink lid for drinking on the go, plus a keep-fresh lid for making smoothies in advance. With a sleek base, the NutriPro looks smart in any setting and can crush ice, so you can make refreshing superfood drinks every day. If you want to live a healthy lifestyle and pack more fruit and vegetables into your diet, the Progress NutriPro is a great way to start. 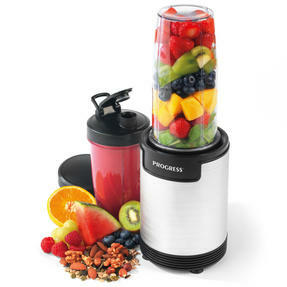 With 900W power, the unique blades extract and lock in all of the best nutrients to create beautifully blended smoothies and juices. The smart, stable base will look brilliant in your home and supplies an impressive 25,000 RPM for amazing performance with every use. With two cups in different sizes, interchangeable lids are also included for drinking on the go or storing in your fridge for later. Smoothies are an excellent way to start a healthy lifestyle - try freezing a smoothie for a gorgeous sorbet-style frozen fruity treat.